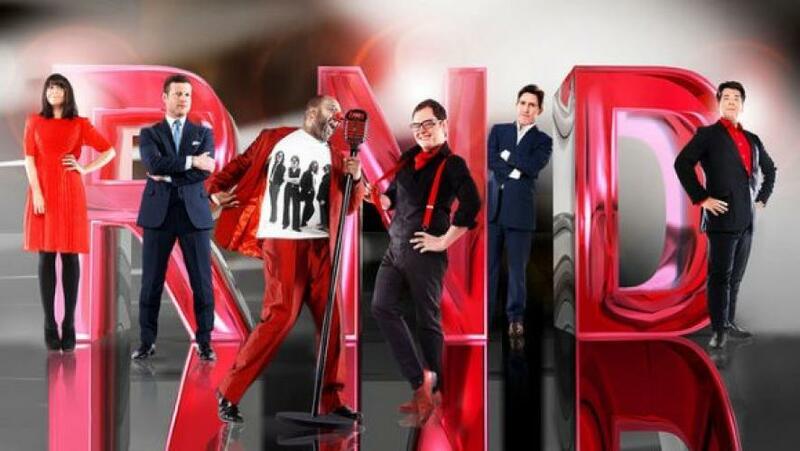 Lenny Henry and Griff Rhys Jones start the huge red ball rolling, with some snappy help from Jonathan Ross - introducing Stavros serving kebabs to guests and taking calls at the Telecom Tower, Jim Davidson in search of the Best Children's Joke in Britain and Rod Hull with the Best Red-Nose Drawing. Also Part 1 of 73 of a Kind - the Super Sketch Show with more celebrities than minutes, and more jokes than both. Comic Relief careers on into the night with Jasper Carrott. Griff Rhys Jones reporting from the Sudan. Blackadder - the Cavalier Years - a one-off special from the dastardly dynasty, starring Rowan Atkinson, Tony Robinson, Warren Clarke and Stephen Fry as a suspiciously familiar King Charles I.
Jimmy Perry introduces a vintage edition, The Royal Train - starring Arthur Lowe John Le Mesurier, Clive Dunn, Ian Lavender and the rest of Warmington-on-Sea's legendary home guard. Comic Relief rushes on with Ronnie Corbett, Phil Cool, Alf Garnett and Michael Palin. Nos 8 and 7 of Select-a-Sketch Part 2 of 73 of a Kind - also a short film by ADE EDMONDSON on disability presented by Stephen Fry. ... to grace the evening with her almost royal presence. Then excitement continues to mount with nos 6, 5, 4 in the Select-a-Sketch countdown,French and Saunders misbehaving and the Dunking of the Person Voted Most DunkWorthy Radio 1 Disc Jockey. Madness is unleashed with Cannon and Ball and a thousand plates. Then, to take you through to midnight, a special comedy fashion show tastefully commèred by Pamela Stephenson and a special edition New Statesman: 'Alan B'stard Closes Down the BBC' starring Rik Mayall, Celia Imrie and Hilary O'Neill. Red Noses at Midnight - the whole nation puts on its red noses for a witching hour of comedy it would be fatal to sleep through. Featuring Ben Elton very much awake. 3-2-1 - climax of the Select-a-Sketch; Hale and Pace and The Two Rons; The Young Ones' University Challenge Emma Thompson and Robbie Coltrane Part 3 of 73 of a Kind and a short feature on young homelessness in England. Alan Simpson introduces Harry H. Corbett and Wilfrid Brambell in a vintage edition, Come Dancing, with Tony Melody as the Milkman. Lenny and Griff close Comic Relief with a final twinkle from a galaxy of stars, and a song from Max Headroom. A round-up of Red-Nose events across the country. A final total of money raised and a grand farewell. On 5 February, red noses blew all over the country and over E15 million was raised for charity projects in Britain and Africa. Tonight Lenny 'Nice Suit' Henry and Griff 'Stupid Hat' Rhys Jones re-run some of the comic highlights. Marvel at the mighty confrontation between SPitting Image and A Question of Sport; thrill to the exploits of Blackadder, be heartily shocked as Alan B'stard, mp, the New Statesman, meets Mrs Thatcher. Then laugh loudly at the live Little and Large (no more Ts please - Ed), Hale and Pace, Jasper Carrott and many more, while taking a break from chortling at the subtle sketchwork of Penelope Keith Valerie Singleton , Victoria Wood , Keith Floyd , Paul Daniels and all the rest who weren't actually up in the Tower making merry with Stavros. Lenny and Griff top and tail this compilation with news of where the money raised has been spent and reveal plans for a Comic Relief New Year.